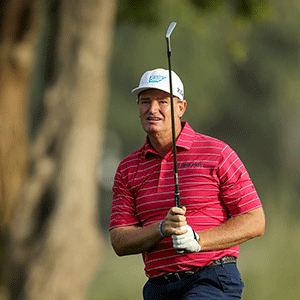 Cape Town - Ernie Els' top-10 finish at the Maybank Championship last week was the 300th of his career - and it turns out that's a record of consistency no other player can match. Stats guru @Nosferatu on Twitter was the one responsible for spotting Els' incredible achievement - one that not even Tiger Woods can claim. And it's a stat he comfortably leads over any other player in the modern era. Vijay Singh is Els' closes challenger with 275 top-10s, a full 25 less than Ernie. That's followed by Japan Golf Tour veteran Jumbo Ozaki - a 94-time winner in his own country. In fourth place is Tiger Woods with 231 top 10 finishes, a whopping 69 less than Ernie. And while Woods is in the midst of a pretty successful comeback, it seems hard to imagine he will ever catch the smooth-swinging South African. Even if Woods matches his record of seven top-10s last season in 2019, he'd need to do the same for seven more years in order to catch up to Els. While Els is widely considered one of the greatest players of the modern era, a former world No 1 and World Golf Hall of Fame inductee with four major titles and more than 70 professional victories to his name, this stat really shows just how consistently great the 49-year-old has been throughout his illustrious career.